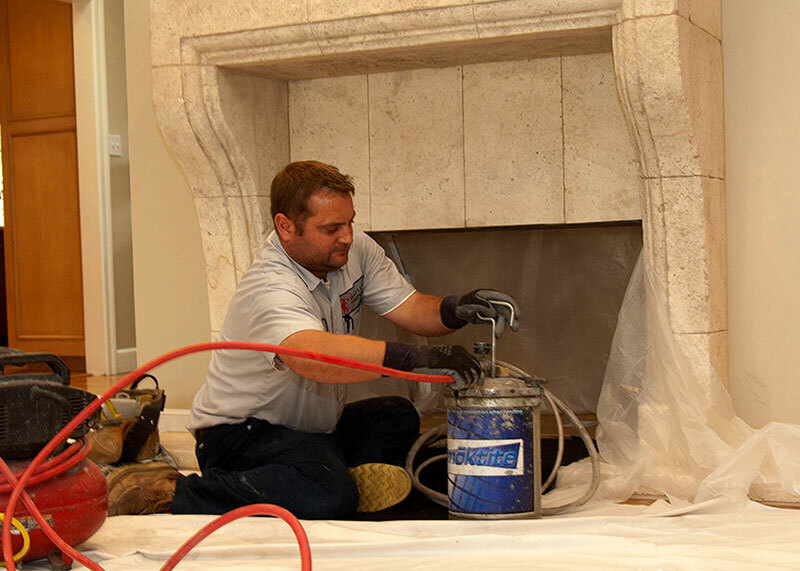 Okell’s Fireplace is dedicated to providing the best solution for chimney repair and restoration available. Take the steps to ensure maximum comfort and proper operation of your fireplace. It will be a decision you can live with for a long time. Ceramic Flue Sealant (CFS) is the primary element of the Thermocrete system. 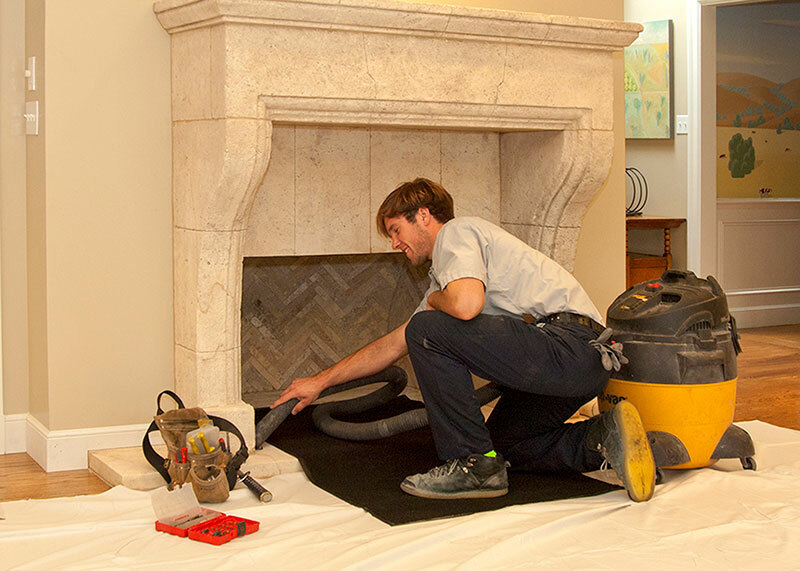 Okell’s Firplace’s own factory-trained installers apply a coating of durable ceramic to the inside of your chimney. This coating seals all small holes and cracks, strengthens the chimney, flue or lining, and increases efficiency without making the flue significantly smaller. The patented CFS helps prevent structural fires which could be caused by deteriorating bricks and joints. 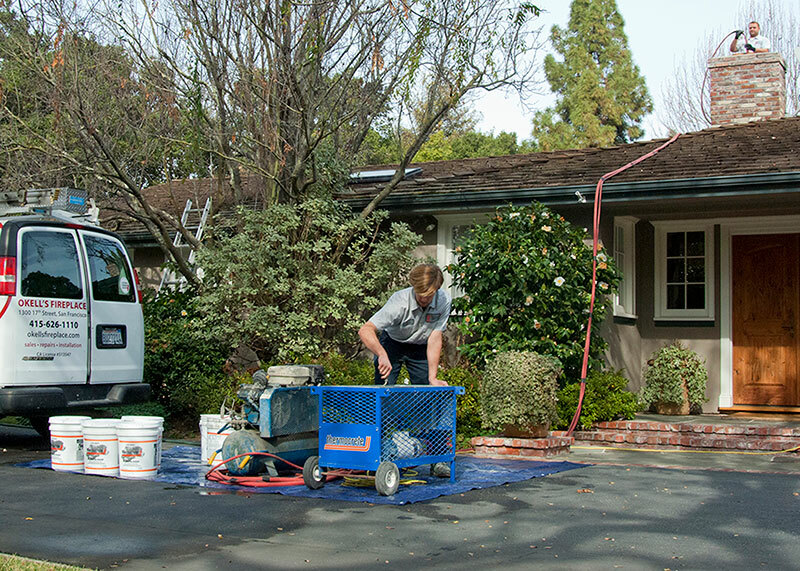 All cracks and leaks that can lead to either cosmetic damage or possible carbon monoxide poisoning are sealed. 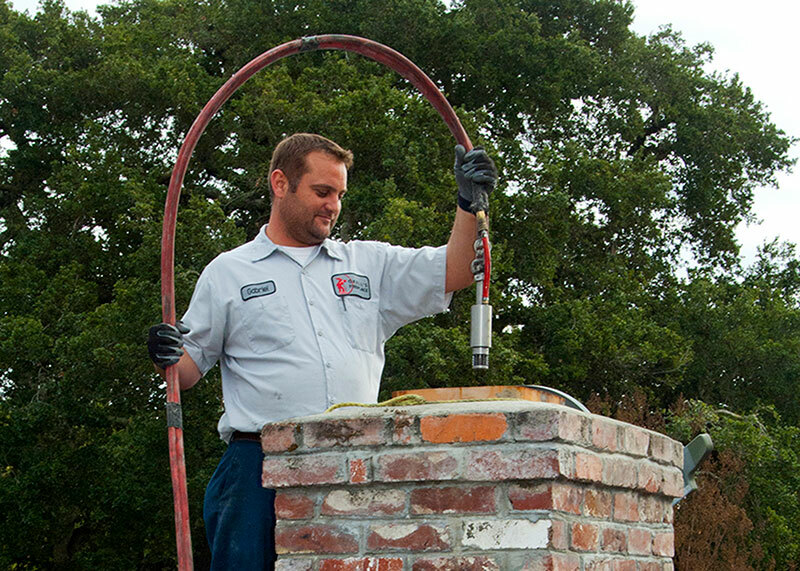 The efficiency of your chimney is increased by creating a faster and more uniform escape for the fire’s smoke and gas. The application process is fast and clean, with minimal disruption to your home. Thermocrete CFS is the most cost effective chimney restoration option on the market today. Thermocrete products have been tested by Warnock Hersey, a testing and certification agency, to the strict standards of UL 1777. A thorough chimney sweep is performed. The area is draped for protection of floor and furnishing. Batches of Thermocrete Ceramic Flue Sealant are mixed and prepared onsite. The ceramic material is pumped to the chimney. 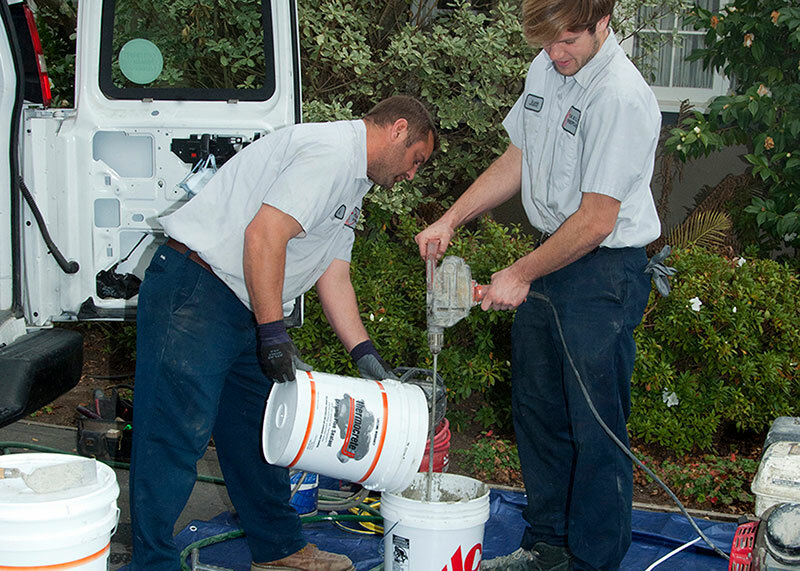 Our factory trained and certified technician applies several layers of sealant to the walls of the flue. Detail work is performed around the firebox to ensure the entire flue is sealed.